Anderson Makes it Times Two! Aug9 by John M. Buol Jr.
For the second year in a row a USAR team shooter has won the President’s Hundred Rifle match at Camp Perry under the auspices of the Civilian Marksmanship Program. 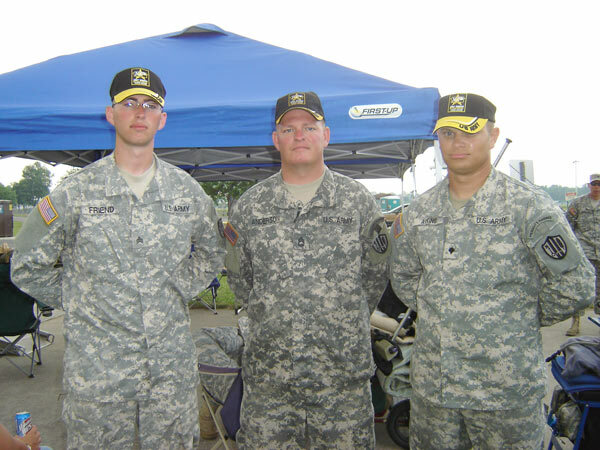 SGT Kristoffer Friend (2007 President’s Rifle match winner), SFC Norman Anderson, and SPC Christopher Atkins.